Chef Michael Lachowicz makes us fall in love again with French cuisine. : GEORGE TROIS IS ON TEMPORARY HIATUS FOR RENOVATIONS UNTIL MAY 2, 2019. 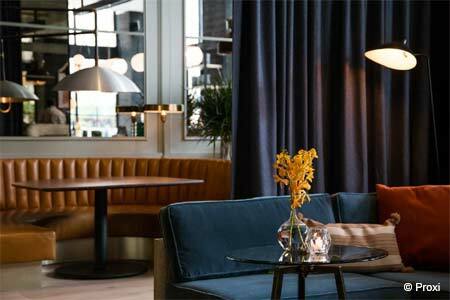 About the restaurant & décor: It's not uncommon to see a chef mingling with guests. To have him cook and hand deliver each dish personally, however, feels like a special occasion. 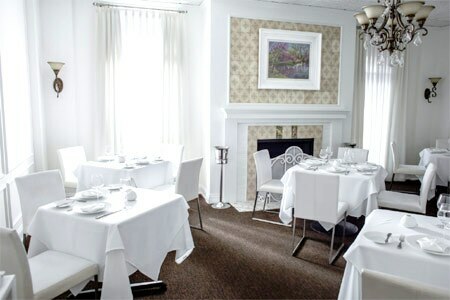 Indeed, this single room, five-table restaurant next to chef Michael Lachowicz's Restaurant Michael achieves that level of intimacy with a classic French tasting menu and the top toque's friendly banter. Eating in the white-washed dining room, refined yet without pretension, feels like having dinner at a family friend's, complete with a fireplace adorned with candles. Service complements the chef's warmth; pours of wine and bread replenishment don't miss a beat. Likes: Service and traditional French fare. Dislikes: A little difficult to find if you’re driving. It's next to Restaurant Michael, Lachowicz's other concept. Food & Drinks: Paying homage to his uncle and grandfather --- both named George --- Lachowicz, who worked with the late Jean Banchet, clearly cooks with tenderness. His 12-course tasting menu ($205, plus tax and gratuity) creates definitive culinary moments that start and end with style. The opener is an Osetra Kristal caviar-topped crisp potato dome filled with a barely poached quail egg and celery root soubise. Perched atop a buttermilk blini and garnished with a garlic chive blossom, the dish paves the way for the artistry and flavor bursts to come. A duo of foie gras tartlette and terrine of Guinea hen and grilled wild ramps en gelée manages delicacy and richness. Dover sole Provençal sports a crispy, chicharron-like skin that takes its green color from chlorophyll. The palate-cleansing "Jewel" of Champagne and pink grapefruit sparkles in the mouth. Plateware is an equal partner in presentation. Pay attention to the pot au feu, whose hand-painted bowl is recessed just enough to keep the brioche-wrapped beef and rabbit and Oregon-sourced peas warm (truffles come through the sauce). The cheese course wows in its simplicity, riffing off fondue with toasted brioche cubes and a side of figs and Marcona almonds. A duo of desserts --- Cointreau-kumquat soufflé and banana and pistachio --- ends the meal fittingly with lightness and thoughtful design. The latter channels a forest feel, with pistachios scattered between swirls and caramelized banana slices. Wine pairings are memorable, especially the 2014 Domaine Jean-Marc Bernhard Gewürztraminer Mambourg and red Burgundy.